With a subtle blousing effect at the waistline, the Allen makes that perfect, just-slightly-tucked-in, blousy look totally effortless. Made in NYC. Loose silhouette with a fitted waist. Below the knee hem. Our model is 5’9” and wearing a size 4. 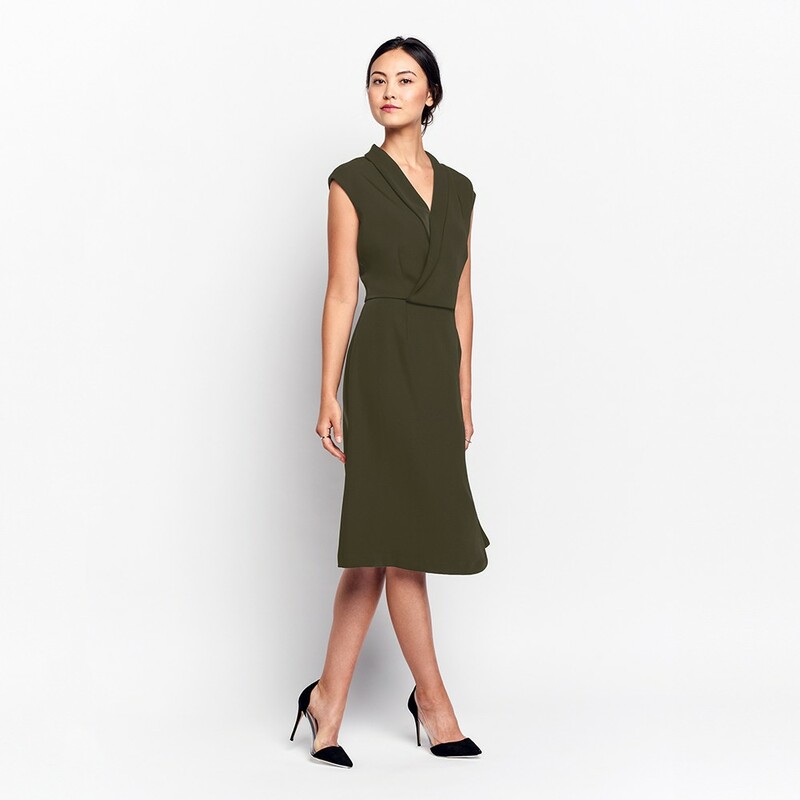 Exact measurements of the Allen Dress below. All measurements are in inches. For general brand fit, sizing, and measurements, please visit our Brand Fit & Size Guide. Loose silhouette with a fitted waist. Hemline falls below the knee. My favorite feature of this dress is the blousing effect at the waist. It gives the illusion of a perfectly tucked-in blouse without the effort of keeping it tucked!